Having an infinite love for 'collections' definitely comes with it's ups and downs. Downs mostly consisting of a feeling of being overwhelmed with a mess of stuff. Recently, we went through our polaroid/photobooth collection that was driving us nuts because of the lack of organization. A collection without some sort of organization is just clutter, so we knew we needed to do some quick problem solving. Creative framing was key. 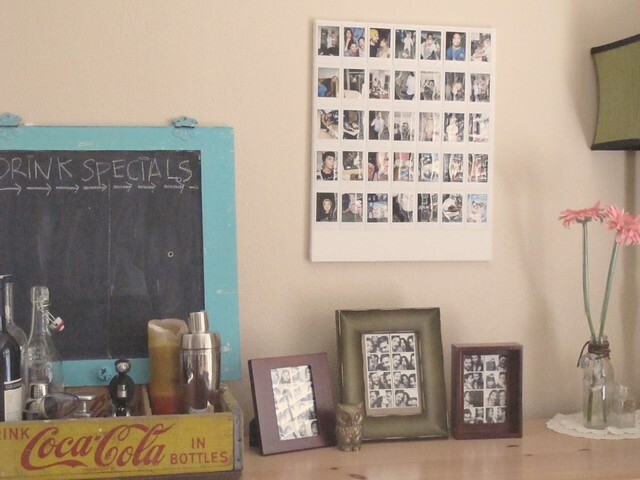 The easy answer would be to stop collecting printed photos, but forget that! We love instant photos too much. They capture moments perfectly without the mess and fuss of reviewing countless photos, deleting, retaking, then repeating. You will have an instant print and don't have to worry about making a trip to costco or whatever printer you use. Then there's my favorite, it isn't a super megapixel monster that points out any red blemishes. nope. just smooths out all your imperfections, making you look even more badass! If I haven't sold you yet, there's no use continuing on this rant. Brandi and Jacob had a blank canvas laying around and that became the base for their giant polaroid to house all the mini polaroids. After seeing theirs, I may have to go pick up a canvas myself. 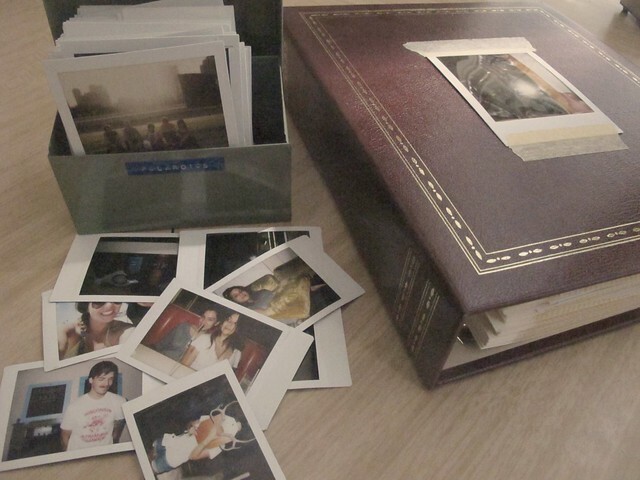 Instead of having a coffee table book, we decided to leave a tin of fun polaroids out, so when people come to visit, they can take a quick peek into our lives and adventures. We try to save our film for special occasions! 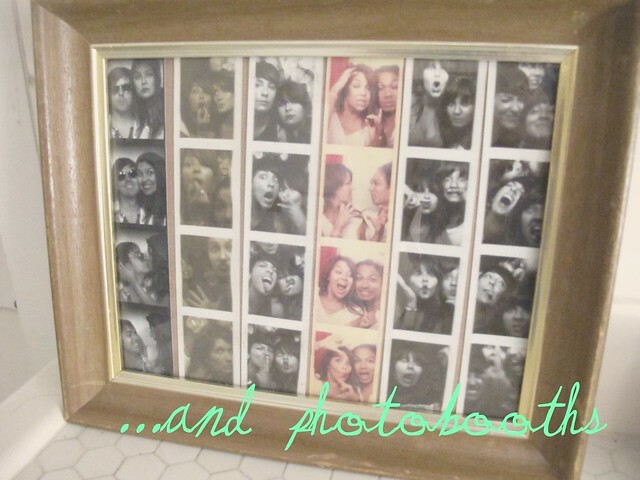 Brandi has a guest book filled with polaroids of her guest from her wedding 3 years ago. 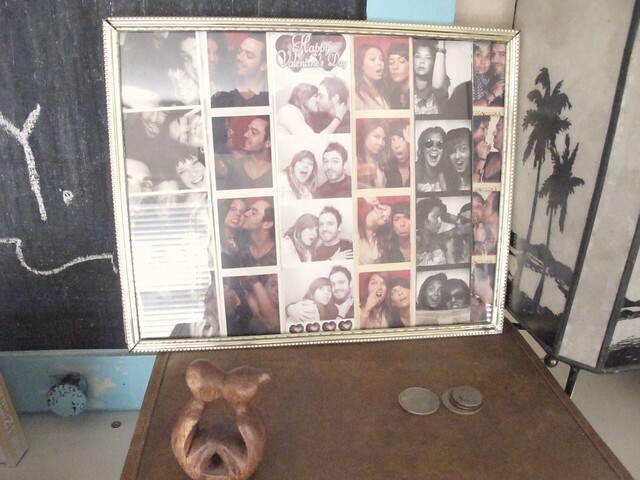 What do you do with your polaroids and photobooth strips? 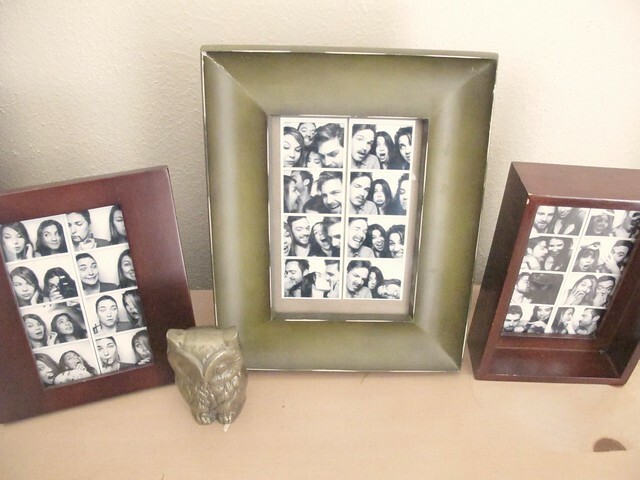 Do you have a creative way of displaying them, other than creating a collage in a frame? Do you find your collections growing and turning to clutter because of the lack or organization or are you just a organizing champ? Got any tips? 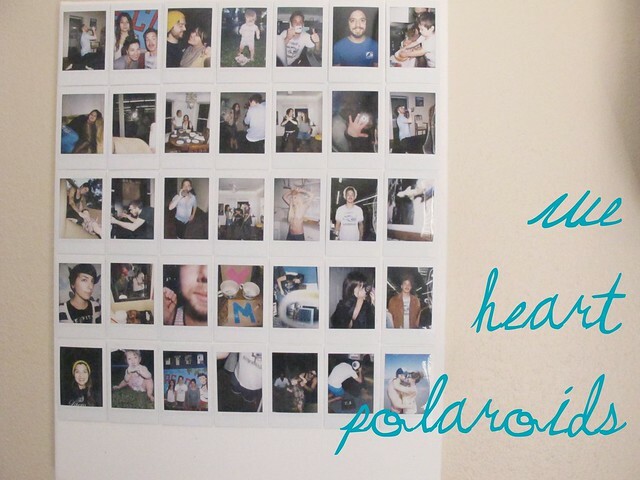 Our favorite one of ALL time is still our friend Marc's Polaroid Calendar. AMAZINGNESS! You can see it in this post! Brandi's living room looks nothing like that post anymore. Tagged: Around my home. Polaroids. photobooth. home decor.